Order name badges for Subway here. All Subway badges are available with magnetic triple strength holders, Pocket sliders, swivel clips or locking pin holders. 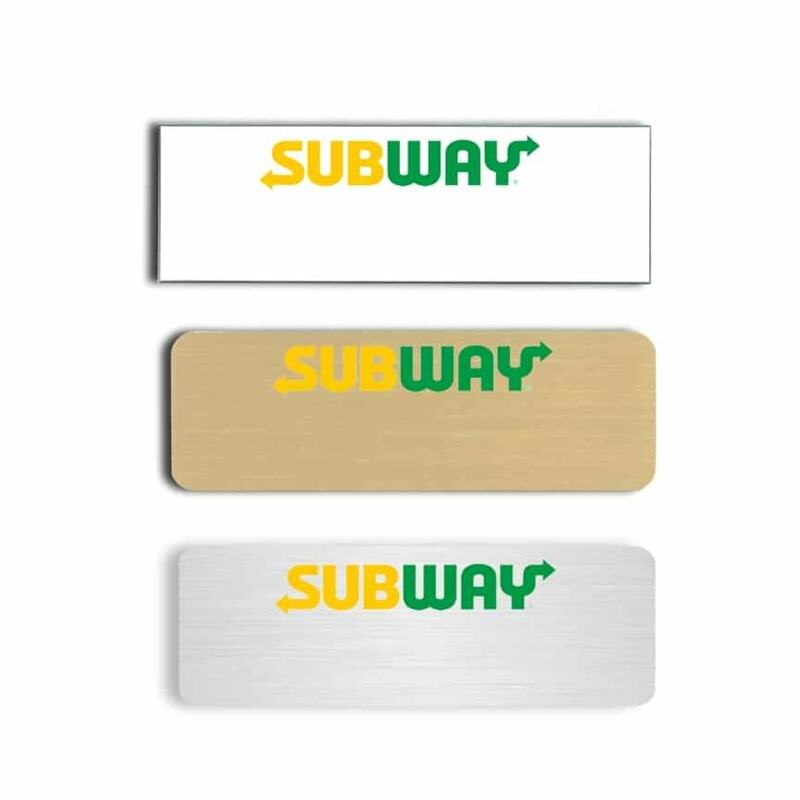 These are samples of logo name badges we’ve done for Subway. Name-badges.com Inc.